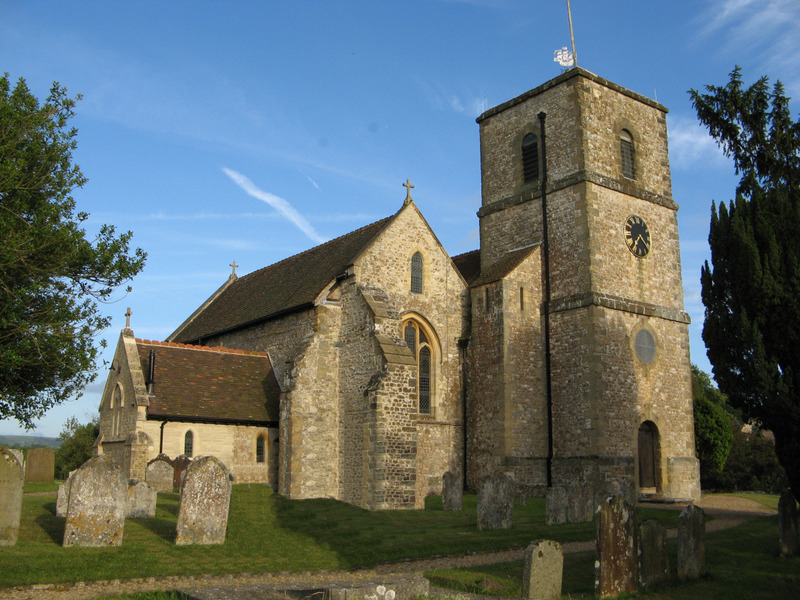 The parish church of St Mary, Storrington, exists to serve the whole community. There has been a church here for more than a thousand years. The building is, in parts, ancient and historic, but its purpose to provide a spiritual centre for Storrington and a place set apart for worship, is timeless. It is a place where people are enabled to draw nearer to God and experience the grace of Jesus Christ in their lives. 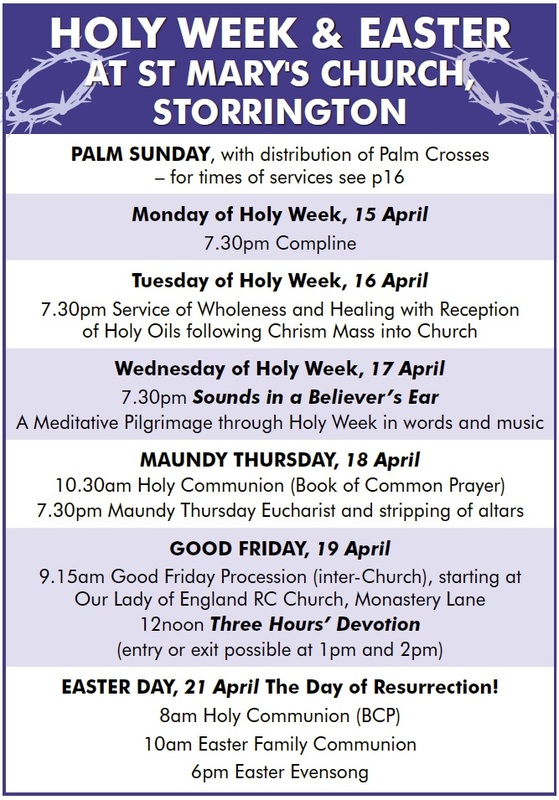 It is here that so many members of our community over the centuries have celebrated their marriages and the arrival of children; here they have shared their sense of loss while celebrating the lives of the departed; and here, week by week, the ministry of Word and Sacrament is offered. We cherish the best of the Church's tradition whilst incorporating that which is fresh and new. Whilst the dignity of worship is important there is also a time for light-heartedness and informality. We aim to be outward-looking, friendly and welcoming, and to proclaim a balanced Christian faith based firmly on the three Anglican foundations of Scripture, tradition and reason and are glad to collaborate with our sister churches in Storrington in the vital task of promoting the Christian gospel. The church is open every day from about 8:30 a.m. to 5:30 p.m. The Clergy team lead our support network offering pastoral care, comfort and guidance and a listening ear. St Mary's has a broad range of activities, courses and home groups, some serious in purpose, others entertaining; but all with enjoyment and fellowship along the way. The Parish of St Mary, Storrington, is in the Deanery of Storrington, the Archdeaconry of Horsham and the Diocese of Chichester. The clergy appreciate the opportunity of meeting new residents in the parish. Please get in touch soon after your arrival to arrange a convenient time for a visit. 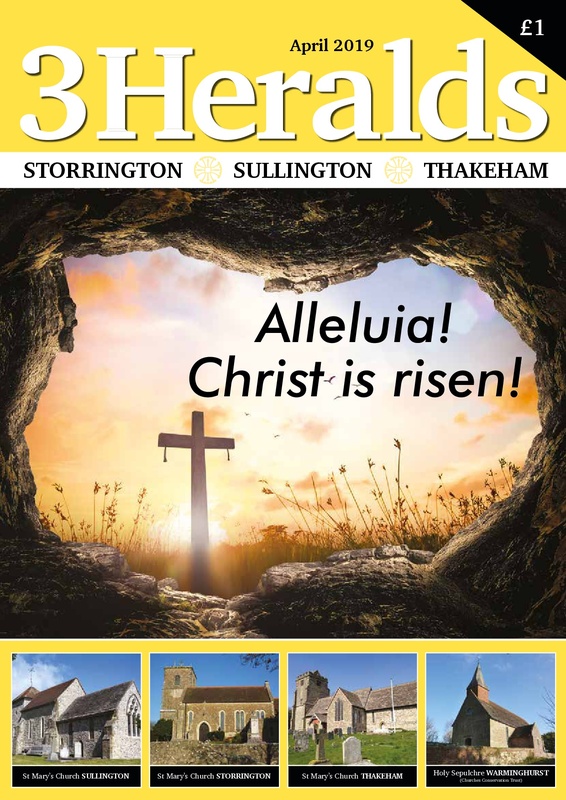 We aim to keep in contact with as many people as possible through the Three Heralds Parish Magazine: for more information please click as shown on the left hand side of this page.